Phaedra Parks is finally a single woman as her divorce from ex-husband Apollo Nida has finally been finalized. In fact, the ‘Real Housewives of Atlanta’ star made the announcement herself while Apollo is currently behind bars for an 8-year prison sentence in connection with his multi-million dollar stolen checks and money laundering scandal. According to TMZ, Phaedra Parks is making it no secret that she’s completely done with her ex-husband Apollo Nida and his conniving ways, especially after all the drama she’s been through with their messy split. Phaedra Parks and Apollo Nida first tied the knot back in 2009, even though they’ve known each other since childhood. They have two children together, their sons Ayden, 6, and Dylan, 3. Apollo’s much publicized court case will be aired on ‘The Real Housewives of Atlanta’s’ upcoming ninth season. He was previously imprisoned for six years back in 2003 for car theft charges. Now that Phaedra Parks’ drama with her ex-husband is finally over, is she going to get her own spin-off show, while hopefully highlighting her life as a single woman? Is she willing to look for a future potential partner on national television? Knowing how much Phaedra Parks loves the spotlight, it wouldn’t be a surprise if she did try to pitch a spin-off show to Bravo producers in hopes that she could have a show that just focuses on her along with her personal life without the rest of her Atlanta co-stars. In fact, Phaedra herself even hinted at the possibility, explaining that any future husband would have to deal with her entire package, which of course includes her two sons. Knowing how much trouble and stress she’s endured with Apollo, it’s likely that she’ll try to find someone less controversial and more low-key than Apollo Nida. Tell us CDL readers, do you think Phaedra Parks should have her own spin-off show? Would you tune in to see her date as a single mother in Atlanta? Let us know what you think by dropping us a line with your thoughts in our comments section below. Also, check back with CDL for all the latest news on RHOA. Phaedra Parks Deposition: Real Housewives of Atlanta Forced To Spill The Beans About Apollo Nida’s Illegal Behavior! 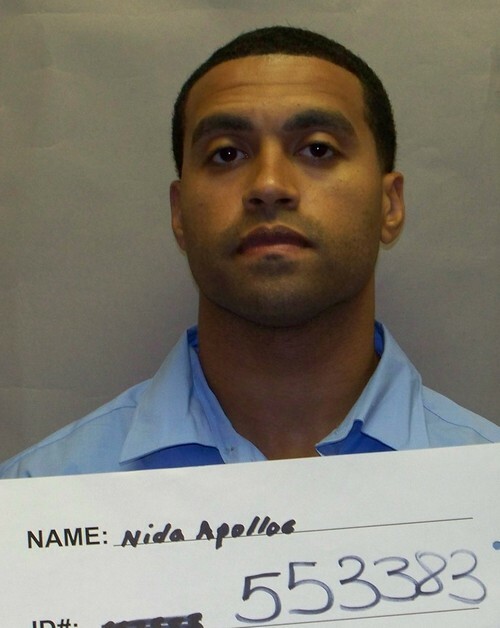 Apollo Nida Hiding From Police – Won’t Surrender Himself for Prison – Traumatizes Phaedra Parks at Home! Are Phaedra Parks’ Charges and Arrest Coming – Is Phaedra Involved In Husband Apollo Nida’s Alleged Identity Theft and Fraud Crimes?